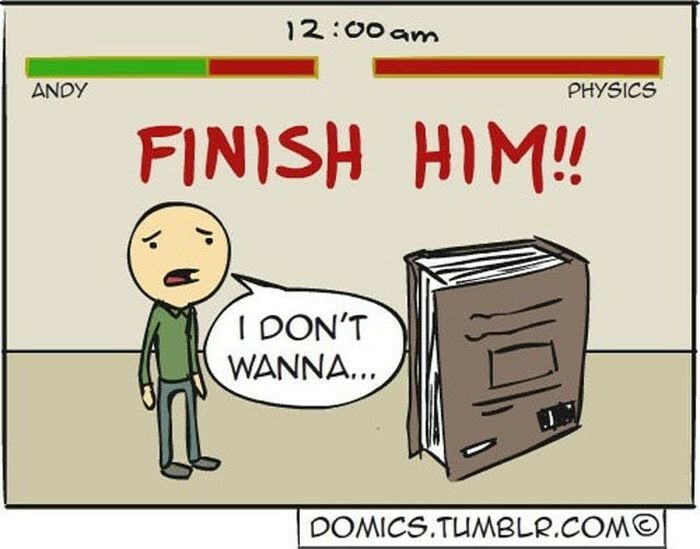 FINISH HIM!! hahaha this is the most accurate picture of how I am whenever I am trying to study. The only thing holding me back from finishing studying is my own will power :( Do you feel like this too? ?